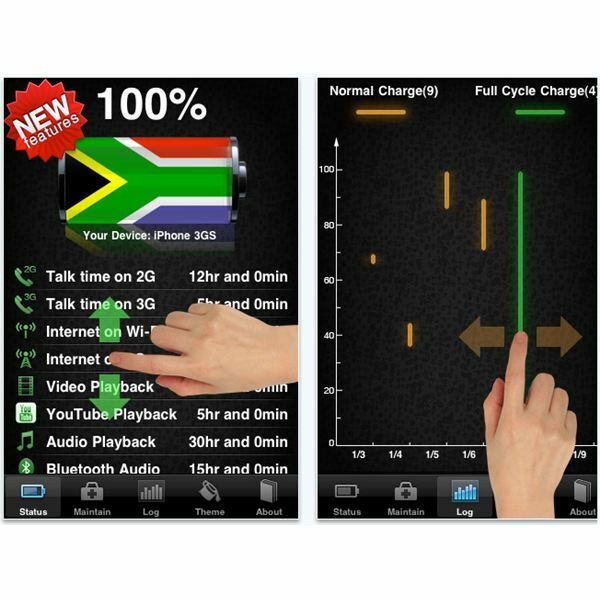 Battery Doctor Pro is an iPhone battery utility that allows you to adjust variables and settings, which in turn maximize your iPhone’s battery life. Usually, battery apps like these are not so effective, but the Battery Doctor Pro app seems to be a rarity. As far as reviews, this app has received countless positive reviews, and the heavy majority of people claim that this app has extended their iPhone’s battery life significantly. Heavy usage, playing games, and using apps frequently will put a faster drain on any cell phone battery. Battery Doctor Pro for the iPhone is an affordable way to prolong battery life, and get the most out of your iPhone. There is also a free lite version of this app, which you can check out here. Check out our article on conserving iPhone battery life. The I Am T-Pain iPhone app changes your voice to match the vocal reflection of the famous rap star T-Pain. Although this is definitely not a productivity app, it is a top 10 iPhone app going by customer reviews and ratings. Not only does it change your voice, but it also provides background music and instrumentals, allowing you to sing along and create your own songs. 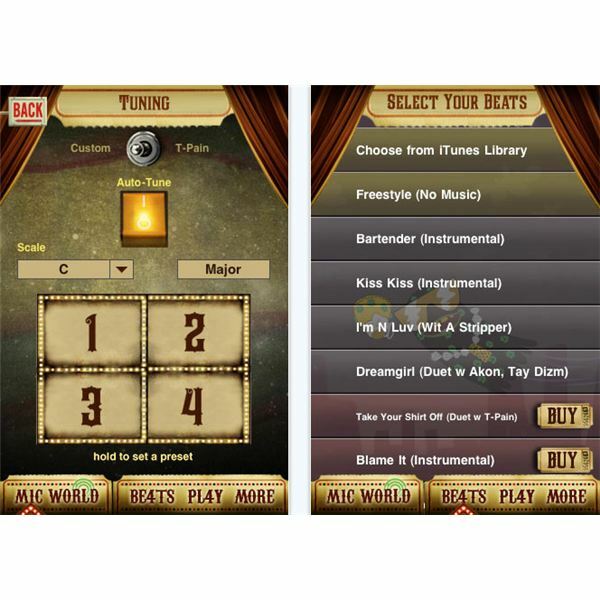 The app also provides lyrics to the songs, allowing you to sing along, even if you don’t know all of the words. If you want to learn how to get the T-Pain Effect on your computer, check out this guide. 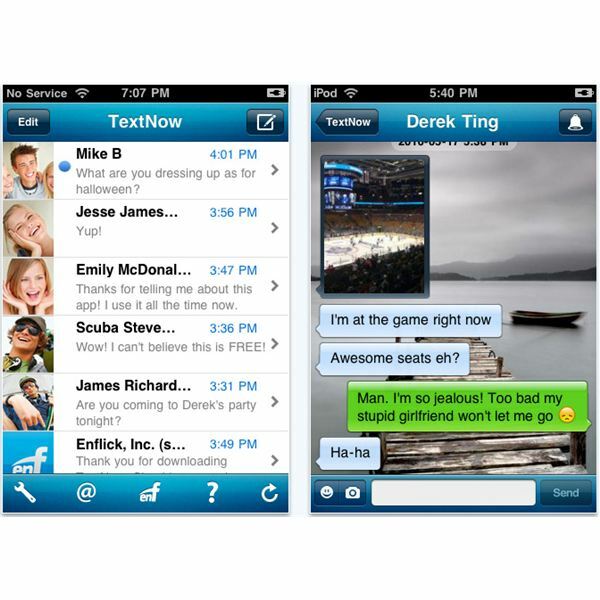 Although the iPhone has built-in texting capabilities, the Text Now app is considered by many to be the best way to text on the iPhone. Not only does it provide unlimited free texts, but it also lets you customize several aspects, providing for a truly custom texting experience. As much as some people text, it would be a shame not to try out the Text Now app. Chances are good, you will agree with the other outstanding reviews, and Text Now will be your new favorite way of texting from the iPhone. 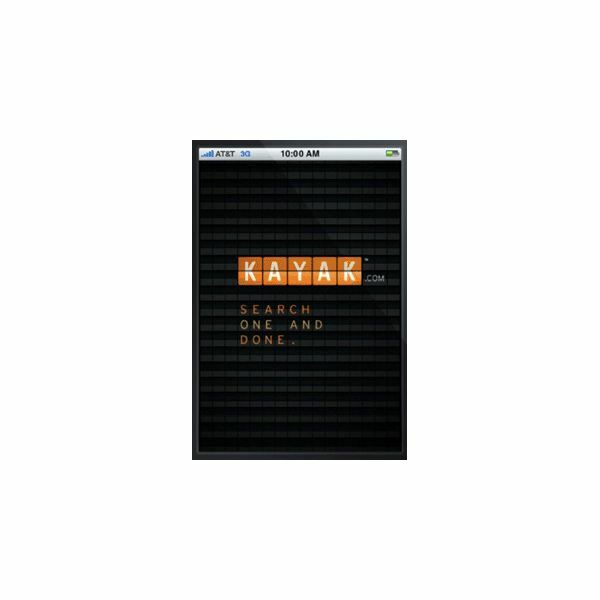 Use one of the web’s most popular travel websites to find flights, hotels, car rentals, and much more… For the frequent traveler, KAYAK may be one of your most used apps. This app is also available for the Android and Blackberry platforms. It is very useful and easily one of the best iPhone apps out there. RSS feeds are the most convenient way to stay up to date with news from your favorite websites and digital media publications. If you don't want to use Safari to navigate to pages, zoom in, and read articles, Byline may be just the app for you. The article view for each feed is styled optimally, providing for easy reading on the iPhone. Not only that, Byline also allows you to configure advanced settings for your feeds, and categorize each RSS feed. 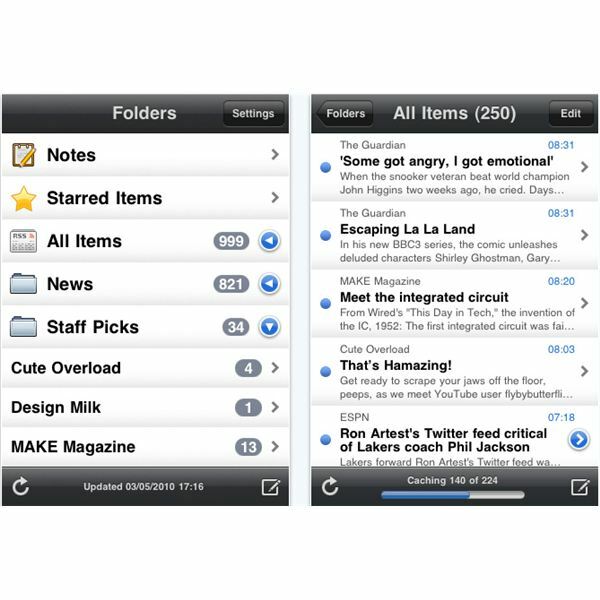 Check out the best RSS readers for your iPhone for more ideas. HippoRemote Pro turns your iPhone into a universal remote control. Not a remote control that works with your television, but rather an app remote control that works seamlessly with Mac OS X or PC. Notably, HippoRemote Pro supports several of the most popular apps, and can even be used to control Windows Media Center. The interface is intuitive, and this app has received consistently positive reviews. Learn more about HippoRemote here. The iPhone and iPod Touch have several different book reading apps, two of the most popular being Kindle for iPhone and B&N (Barnes and Nobles). However, both of those apps have received average to low appstore reviews. 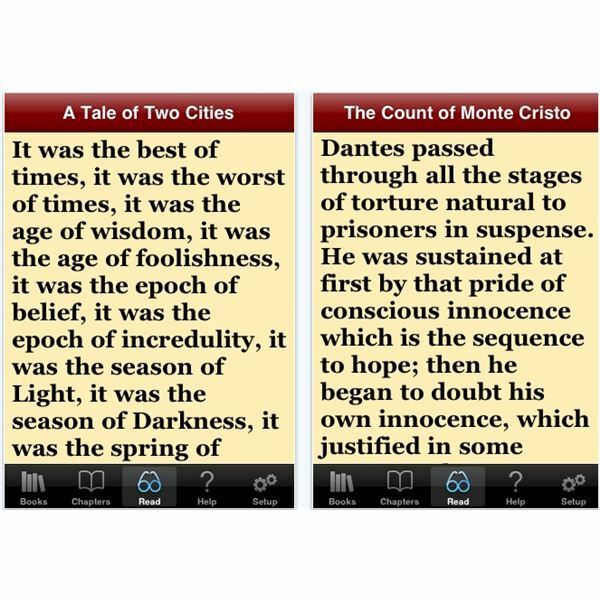 200 Great Books is a unique eBook reader app that has gotten countless positive reviews. Rather then traditional page turning, 200 Great Books gives you the ability to set the book to scroll mode, where the book automatically scrolls, similar to a television prompter. The best is yet to come. 200 Great Books does just as its name suggests. If you choose to purchase this app ($1.99), you will also get 200 of the best books to date. Most of the books are classics, and should definitely get your eBook collection off to a good start. Although the 200 Great Books app isn’t the most original idea, it is a top 10 iPhone app due to the bargain price, and customer satisfaction. GottaGo is an app that may save you from an awkward conversation, a bad date, or even get you out of work. If you are the type that has ever pretended to text in awkward situations, the GottaGo iPhone app may be the next best thing. 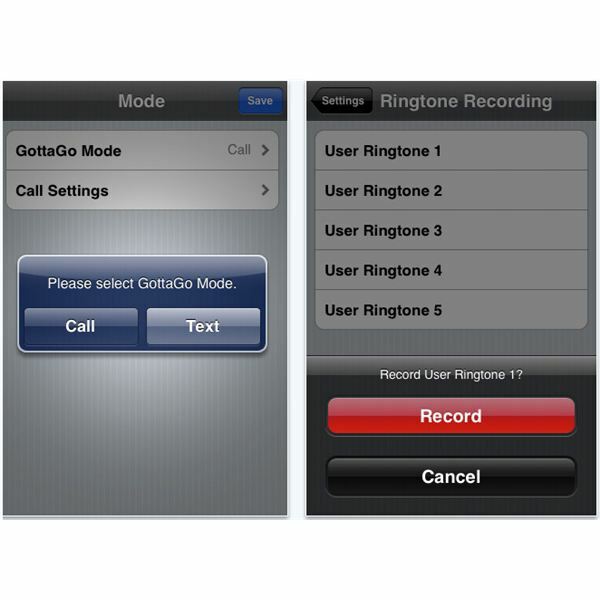 GottaGo works by allowing your iPhone to receive false calls and text messages. You can even setup the app so that there is a voice for the fake calls. If you’re going on a blind date, or other related task, simply set the GottaGo app timer, and you will automatically get a call or text message at a specific time. From there, you can quickly make your escape, should you need to. Tetris is the ultimate time wasting game. 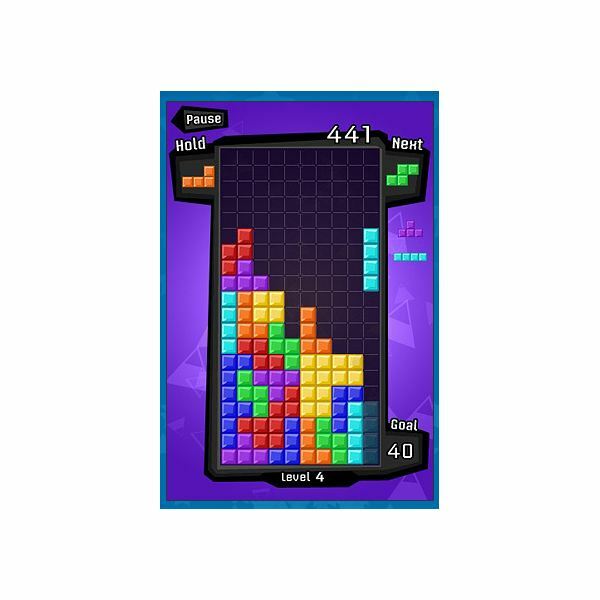 I mean come on, it’s Tetris… enough said. No matter what your favorite sport is or what your favorite team is, ESPN ScoreCenter will let you keep up to date with scores, latest news, and more. There are a couple of other sports tracking apps in the appstore, but none have gotten such good reviews as ScoreCenter. Notably, the newest version has push notifications and event features. 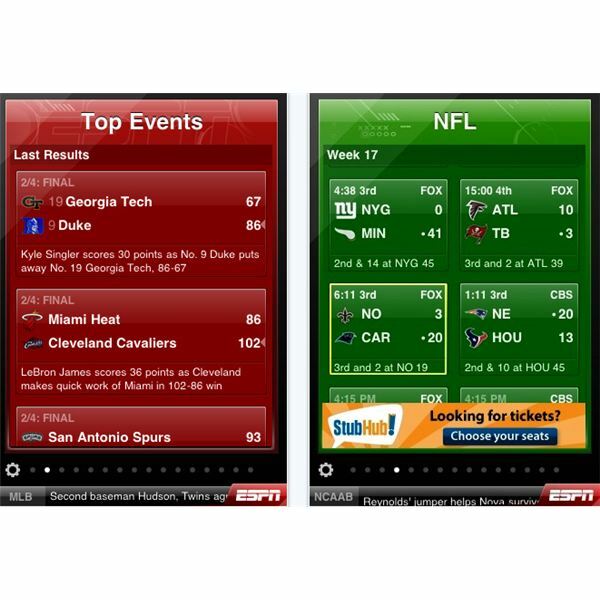 Read our ESPN ScoreCenter review to find out more about this app for sports fans. Looking for the must have, 50 best iPhone apps? This series covers the top iPhone apps of all varieties. 5 top 10 lists of the best in iPhone app games, utilities, and more will provide you with an all-in-one guide of iPhone apps to add to your collection. What are the best iPhone apps? Learn more.